This March 1, 2018 article in CSCMP Supply Chain Quarterly, penned by David Maloney, puts forth some realistic questions about the effect of driverless trucks on distribution networks. Maybe companies can have their cake and eat it too? If line haul carriage distance per day can be increased, would it allow for fewer DCs to support e-commerce driven lead times? David Maloney is chief editor at DC Velocity, a sister publication of CSCMP’s Supply Chain Quarterly. PreviousPrevious post:High School Students Should Plan for a Career in Supply ChainNextNext post:Phil Ramsdale will moderate Women (and Men) Leaders in Supply Chain in Long Beach on November 15, 2017. Get in touch with Transport Solutions and we can develop an optimized freight plan for you! 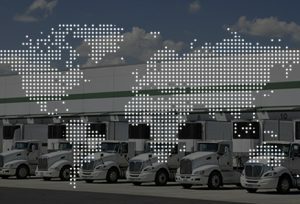 Transport Solutions specializes in helping large companies optimize their use of freight services. We support our clients decision making and management with independent, unbiased analysis. We have developed efficient methods, processes and proprietary software that provide tremendous leverage to achieve measurable results.